Masses are celebrated at St. Teilo’s and Our Lady of Lourdes at the following times each week. However, please check the newsletter or the events page as sometimes Mass times and venues have to be changed at short notice. 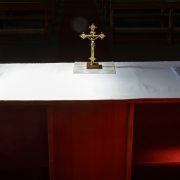 Tea and coffee is served after 9.00am and 11.00am Sunday Masses at St. Teilo’s, usually once a month, after 10.00am Mass at St. Teilo’s on the first Friday of each month and after 10.00am Mass at Our Lady of Lourdes on the last Friday of the month. Exact dates will be announced in the newsletter. Every Sunday is celebrated as a Holy Day of Obligation. For Mass times on the Holy Days of the Solemnities of the Epiphany on 6th January, the Ascension of the Lord on the Thursday after the Sixth Sunday of Easter, Saints Peter and Paul on 29th June, the Assumption of the Blessed Virgin Mary on 15th August and All Saints on 1st November, please check the events page or look at the newsletter in the week of the Holy Day. If any of these Holy Days falls on a Saturday or Monday, the Holy Day Mass is usually transferred to the nearest Sunday. Again, details can be found on the events page or in the newsletter in the week of the Holy Day. 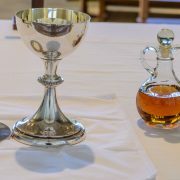 The Solemnity of the Most Holy Body and Blood of Christ (Corpus Christi) has been transferred to a Sunday each year. Mass times for the celebrations of Christmas, Holy Week and Easter are announced in the weeks before these celebrations each year and are available on the events page as soon as the times are confirmed. The Sacrament of Reconciliation usually takes place in St. Teilo’s on Saturday mornings after 10.00am Mass and in Our Lady of Lourdes on Saturday evenings before 6.00pm Mass. Please note that Confession is also available by appointment.